you commented very intensively on the ECB destroying bond markets and the failure of monetary policy in Europe. By yesterday the US Fed also declared the end of the shrinking of the balance sheet. Possibly they will start QE4. So I would warmly welcome your comment on the US Fed – throwing in the towel, finally – and the situation getting worse also in the US! ANSWER: The Fed also sees the handwriting on the wall. We are headed into a hard-landing in the global economy. They have come under a lot of pressure externally to stop raising rates. This notion that they will not stop shrinking its balance sheet is really pointless when the dollar is the only game in town. 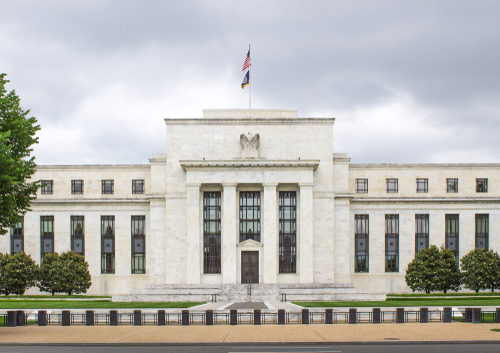 The FED is not in the same position as either the ECB or the bank of Japan. There is a viable bond market that is actually used as the reserve assets among central banks. When we talk of the dollar being the reserve currency that does not mean simply holding cash. They hold US government treasuries – not cash. Nevertheless, the Fed knows that QE does not work. China as rejected adopting that tool. Nevertheless, the Fed feels compelled to do something even if it fails. They will be vulnerable if they actually do nothing. This is the first step. At risk here is the final straw that breaks the back. Once it becomes more obvious that central banks cannot manage the economy, then we arrive at the game changer. Clearly, the Fed stopping the reduction of its balance sheet is a reflection that we are headed into an economic recession globally following the ECM.